Before you start judging me on the basis of this blogpost, let me make some things really clear- I don’t give a damn to any political party and what I care about most are the Indian Defence Forces and their hardware requirements because without weapons in today`s time you are no good. There are a lot of people in the country who easily believe propaganda, whatsapp forwards and are mostly blind followers of any political party or leader. I was ecstatic when the deal for 126 fighters was announced initially in 2007. It had meant 7 squadrons of combat ready fighters to act as deterrents on both the Pakistan and China front. 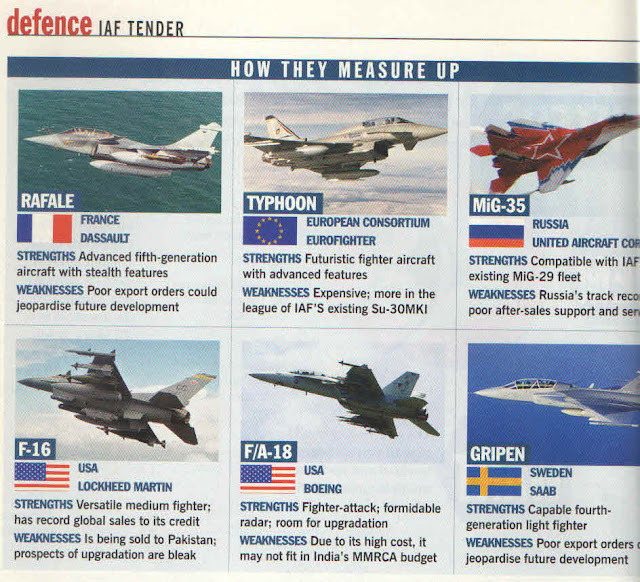 The numbers of the Indian Air force fighters are rapidly declining with the phasing out of the various fighters and other aircrafts. I was furious when only 36 rafale fighters were announced as a lollipop to the force and even more questionable was the decision to award the contract to Reliance – a company with no defence manufacturing experience. How come a company totally unknown in this field be competent enough to manufacture advanced combat fighters? The questions are too many and the answers are none to say the least. The common man of this country lacks the interest to question all such things as for him, these are just expensive gadgets with no direct relation to him but when you look at them from the point of war , then maybe you might realise that these expensive machinery in the hands of capable pilots can mean the difference between loss and intact freedom. 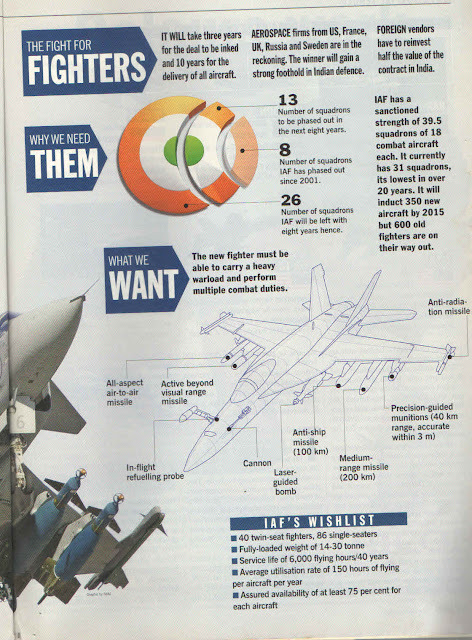 Below are 2 scans from an old India Today issue from way back 2007 and I have made these a part of this post so that it might give you a rough idea that how much big was the 126 fighter tender, why the Airforce urgently needs fighters to protect the Indian skies and will also make you question that is a company with 0 experience competent enough to deliver all that is asked for in a 5th generation fighter ? ?